1. 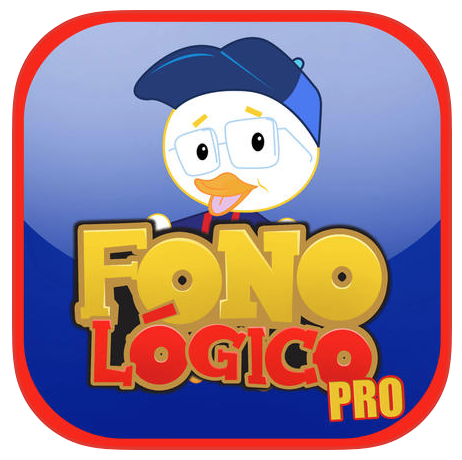 Fonologico: This app allows therapists and parents to work on specific sounds. It works like flashcards. It contains over 1000 flashcards in it separated by specific phonemes, mode of articulation, and phonological processes. 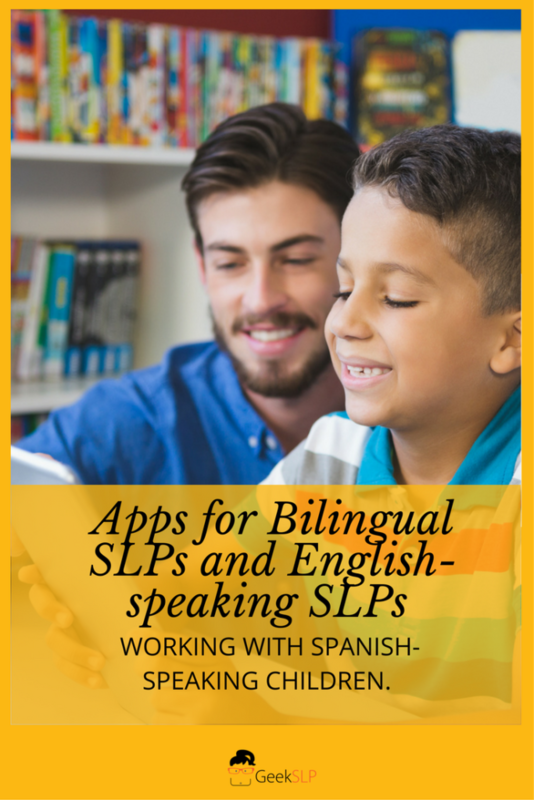 This is a very useful app not only for bilingual therapists, but also for English-speaking clinicians who should work on speech errors in both languages when treating children with articulation delays. 2. Learn Spanish and Play: This is an app for working on basic vocabulary and even categorization. Choose from one of (the) 8 scenes: “granja, Zoologico, Insectos, Mar, Frutas, Hortalizas, Colores and Familia”. There is a teaching and a testing component to this application. Once you have worked on the vocabulary you can go to play game mode and test for learning of vocabulary. 3. Play2learn: This Spanish app is part of a family of apps in several languages, including Russian, Italian, French and other languages. It is very useful if your caseload comprises of students coming from several countries and you want to work on some basic vocabulary on their first language. Play2learn is also an app for basic vocabulary, but with a few more options than Learn Spanish and Play. It contains concepts such as body parts, clothing items, toys, colors, technology vocabulary and many more. It also has a component for verifying learning with coloring activities. 4. Conjugation Nation: This is an app for more advanced learners working on subject-verb agreement in Spanish. The user is given a verb and a pronoun and must type the correct verb conjugation. This is a basic app but is one of the best tools I have ever seen for working on subject-verb agreement: a very prominent feature of Spanish grammar. 5. Spanish Grammar: Ser/Estar. This app, despite being a bit difficult to set up is very useful for teaching the differences between “ser/estar” both translated as “to be”(“to/be”) in English but used differently in Spanish. This app gives users lots of ways in which each can be used. I hope you enjoyed this post. 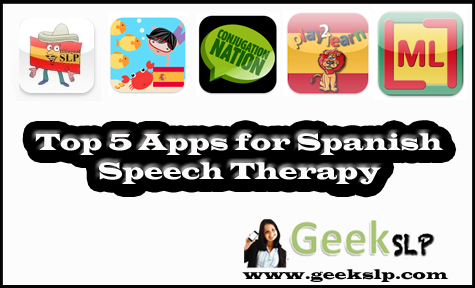 If you have any suggestions of apps in Spanish please send me an e-mail to geekslp@yahoo.com I would love to post it on my blog. 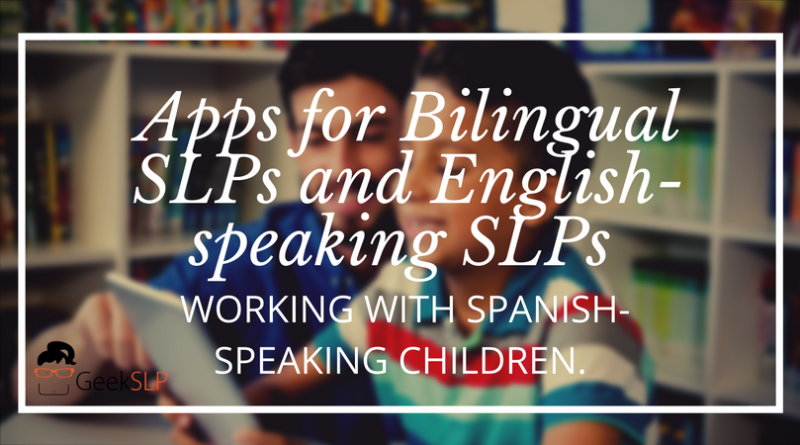 Also keep in mind that any of these apps can also be very useful for English-speaking clinicians trying to brush up or start up on their Spanish skills. If love to see an updated list. I know it’s been a while since this post, and I was unable to find a couple of these apps in the App Store.